I love books on writing. I have read my share of them too. I've read ones by Terry Brooks and Stephen King and others. So you'd think by now that I would have at least one novel under my belt. But I don't. Julie clarifies this issue in a nutshell...you have to write your way. Yes, you should pay attention to the advice and there are certain things the writer should not fudge on, like style and grammar. She recommends The Elements of Style by Strunk and White and there I couldn't agree with her more. I happen to have that book in my writing arsenal. A writer should also keep a good book on grammar handy. What she said that I really liked and agree with 100% is "write something that matters--if only to you." Great advice. Who wants to write something they don't care about? If the writer doesn't care, the reader certainly isn't going to. It doesn't have to be a big statement book, but the story should mean something, should touch the writer and, therefore, the reader. Authenticity and truth come in too. Don't skimp on the details. Do the research. The most important thing though...get it written. Set deadlines for yourself and this is one I like. Set a goal of five pages per day, five days a week. This works for Julie because she's a rule breaker so if she doesn't write on Monday, she can write Saturday to make it up. Or she can add pages on to other days. I think I like this approach better than so many words per day or hours even. Frankly, the word count thing makes me very nervous (I'm talking to you NaNoWriMo)! Start it--put one word after another. Put your heart in it. Part with it--get it written. Simple and straight forward. I like it. In subsequent chapters, she discusses voice, plot, characters, and all the nuts and bolts when it comes to writing a novel, but she does it in a fresh way. She doesn't bog it all down with pages and pages of explanations. That's one beef I have with writing books. They are way too long. Hence why there are so many on my shelves that remain unread. Julie's 121 page dynamo is the perfect book on writing. This is a book that will stay in my eReader and I will be using it as I continue with the novel I started during NaNoWriMo and did not finish. I will finish it. Five pages a day, five days a week and I will write it my way. Thank you, Julie. WRITING YOUR WAY is a no-nonsense, jam-packed book on writing fiction that came directly out of the author’s belief that most writing teachers need to cut their students a little slack. 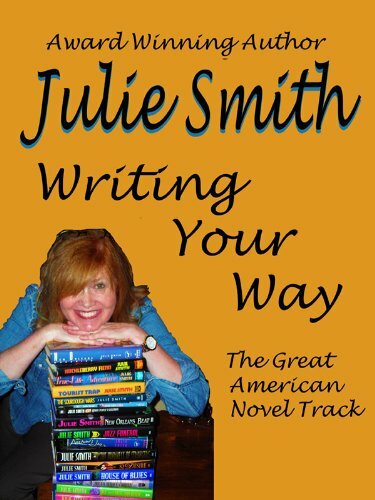 Edgar-winner Julie Smith’s approach is to help you find your own writing method, not bombard you with “unbreakable” rules. But make no mistake, she’s going to give you plenty of how-tos—on plot, character, setting, voice, point-of-view, dialogue, pacing and marketing. As well as plenty of practice exercises. And lots of motherly advice. She also thinks most writing books are so absurdly padded they’re a waste of students’ time. Or they’re all about getting in touch with your inner writer so you can finally get started. WRITING YOUR WAY is for the pre-published novelist who is way past that. It gets right to the point. Offering nuts, bolts, and marketing methods, it’s a thick, dense concentrate of wisdom learned from years of actually… writing. Smith’s the author of dozens of novels and short stories and the founder of Writers’ Track, a method of teaching writing by conference call. 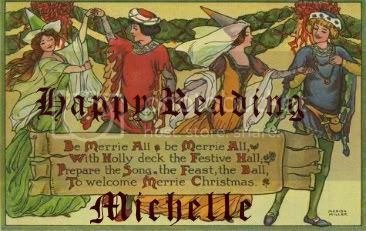 She has also taught fiction both at the undergraduate and graduate levels. Julie Smith is the award-winning author of twenty novels and as many short stories. She’s a former reporter for the New Orleans Times-Picayune and the San Francisco Chronicle, as well as a veteran of her own online writing school, plus an editorial service she founded with two other writers. She’s also taught writing at the University of New Orleans and in numerous private seminars. During her long career as a novelist, she has created four mystery series, including two set in New Orleans where she lives, featuring homicide detective Skip Langdon and poet/P.I. Talba Wallis. In 1991, she won the prestigious Edgar Allan Poe Award for Best Novel. Counting all the novels, all the stories in all the anthologies, the odd essay, and a progressive novel or so, her publishers include just about every big publisher– Ballantine, St. Martin’s, Tor, Walker & Company, Knopf, Doubleday, Avon, Harper-Collins, Berkley, Warner, and Oxford University Press– plus some smaller ones, including Akashic Books, Carrol&Graf, Allen &Unwin, Taplinger, and Four Star. Disclaimer: I received an eBook edition of this book from Pump Up Your Book book publicity tours in exchange for an honest review. Opinion expressed is my own. I did not receive monetary compensation. Hi, Michelle--julie here, under my google name. Many, many thanks for what's probably the nicest review I've ever gotten on anything! Remember that Aunt Julie lives to serve--if there's ever any way I can help you with your writing, please get in touch at one of the WRITING YOUR WAY FB pages, or julieorleans@cox.net . You are clearly a wonderful person! I will be looking up your website/Facebook, etc. Thanks for writing such a great book!